Little Kids League players love to look like the pros. 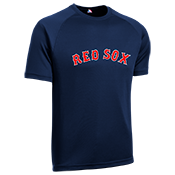 This Red-Sox full button jersey is made of 100% Pro-Mesh material with a full athletic cut, featuring a screen printed official MLB Red-Sox logo on the chest or a team name in official font. We have all 30 teams in official colors and logos. 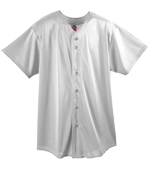 Add a team player name and number on the back using our design tool! !